Smile, you’re on camera! 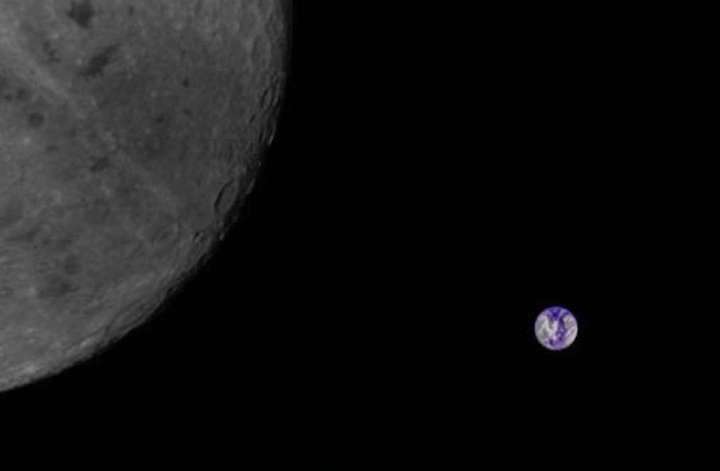 This new portrait of Earth and the moon was taken this week by a camera on board a student-built microsatellite, Longjiang-2. It was launched on 25 May 2018 alongside a larger lunar communications satellite designed to support China’s upcoming Chang’e 4 lunar rover, and has been orbiting the moon since. The tiny satellite was developed by a team at the Harbin Institute of Technology in Heilongjiang Province, China and is designed to allow amateurs to upload radio commands and download photos. When Earth and the moon lined up, a group of radio enthusiasts sent the command to take the shot, downloading the image to the Dwingeloo radio observatory in the Netherlands.